The conventional arrangement of a metal ball into a special plastic (polyethylene) cup has been shown to have positive results over the years. How long it will last depends not only on age, but also on a patient’s activity level. 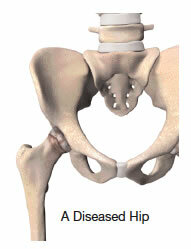 Another factor that may affect the durability of a total hip replacement is the bearing surface. 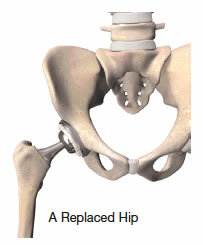 The bearings are the two parts of the artificial hip that glide together throughout motion. These bearings can be metal-on-polyethylene, metal-on-metal, ceramic-on-polyethylene or ceramic-on-ceramic. There have been significant advancements in improving the bearing surfaces in total hip replacement. 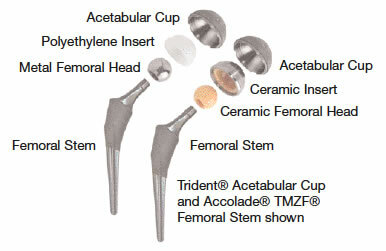 Ceramic-on-ceramic bearings provide superior wear performance.1 Stryker’s ceramic-on-ceramic system has demonstrated significantly lower wear than metal-on-polyethylene systems in the laboratory; therefore, it is anticipated that these improved wear characteristics may extend the life of the implant. Your physician will discuss the exact type of prosthesis and surgical procedure with you. 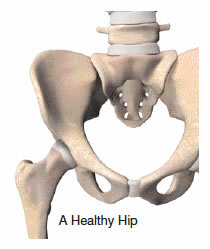 As with any surgery, there is risk of complications after hip replacement surgery. However, they are relatively rare. Blood clots are the most common complication after surgery. Your orthopaedic specialist may prescribe one or more measures to prevent a clot from forming in your leg veins. These measures may include special support hose, inflatable leg coverings and blood thinners. 1. Taylor. S.K., Serekian, P., Manley, M., “Wear Performance of a Contemporary Alumina: Alumina Bearing Couple under Hip Joint Simulation,” Trans. 44th Ann. Mtg. ORS, 1998. 2. Stryker Test Report RD–04–099. Generally, after hip replacement surgery, you may spend approximately 3 to 5 days in the hospital. Most hip replacement patients begin standing and walking with the help of a walker and a physical therapist the day after surgery. Recovery varies with each person. It is essential that you follow your orthopaedic surgeon’s instructions regarding home care during the first few weeks after surgery; especially the exercise program you are prescribed. You should be able to resume many normal light activities of daily living within 3 to 6 weeks following surgery. Some discomfort with activity, and at night, is common for several weeks. Complete recovery can take from about 3 to 6 months. While most people will gradually increase their activities and play golf, doubles tennis, shuffleboard or bowling, you will be advised to avoid more active sports, such as jogging, singles tennis and other high impact activities.